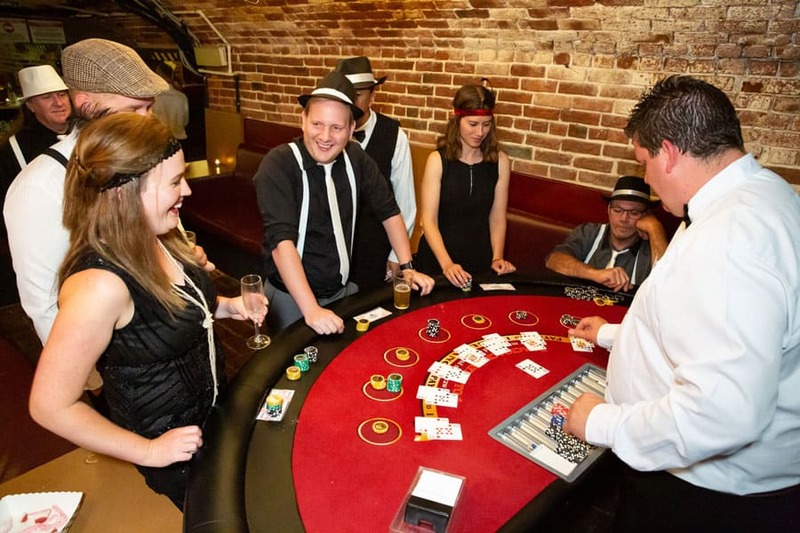 If you’re looking for an option for your next event that will engage and entertain your guests then a casino party is for you. A Casino Party instantly creates atmosphere. It’s also a fantastic icebreaker, encouraging your guests to mingle and get to know each other. At Ace Nights we supply genuine casino-quality gaming tables that include Roulette, Blackjack, Big Wheel, Poker and Craps. Our croupiers and Casino Manager happily assist your guests with how to play the games. We don’t simply play by the rules – we entertain your guests and have fun with them. Most of all a Casino Party gives everyone a night to remember! So how does a casino party work? Hiring Ace Nights is like hiring a DJ or a band. You pay for our services with no money being outlaid on the tables. Your guests all receive $2000 of fun money personalised with your image or logo which they exchange for chips at the tables. Throughout the night we ensure that everyone gets an equal amount of time on the tables. And at the end of the night the winner receives a trophy inscribed with your inscription. Ace Nights can also supply a range of extras to theme your event and give your special night an authentic atmosphere. These include backdrops, signage, red carpets and bollards. Furthermore our party hire and suppliers directory can assist you in finding a venue, decorations, jukebox and other items needed for your special night. 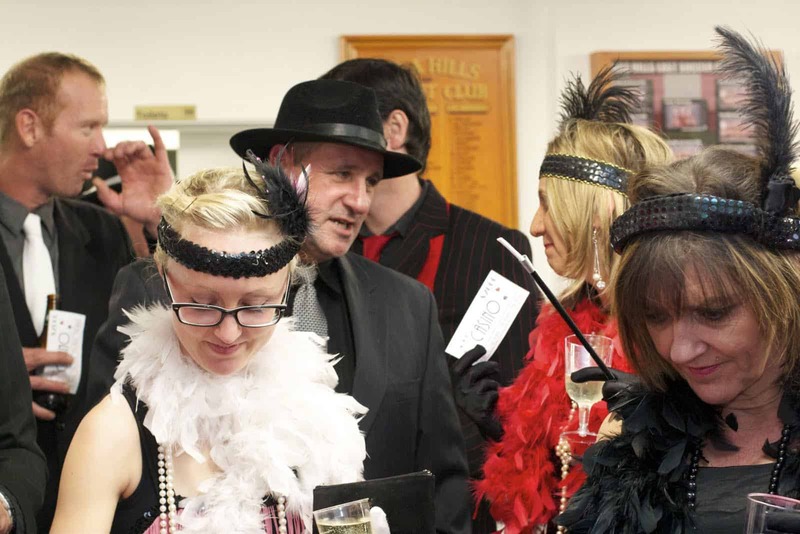 To speak to someone about planning your casino party call us today on 0402 964 477. Alternatively, leave your details on Contact Us and we will call or email to discuss the best options for you. We pride ourselves on our professionalism and the ability to give our clients exceptional service for their casino party.